Alpine & Expedition Training – The team have successfully complete 3 out of 4 of their planned peaks and are currently on Huayna Potosi. 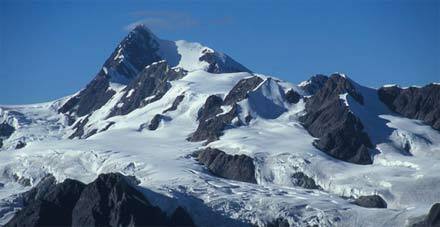 Bolivian Peaks Expedition News July 2006. Unfortunately Joe has had a small accident whilst climbing Condoriri with one of the clients and has injured his ankle, which has meant he’s had to return back to La Paz. Sadly he will not be able to carry on with the Expedition for the Final two Peaks, so Cecilio the local guide from the 4th July trip will replace Joe. 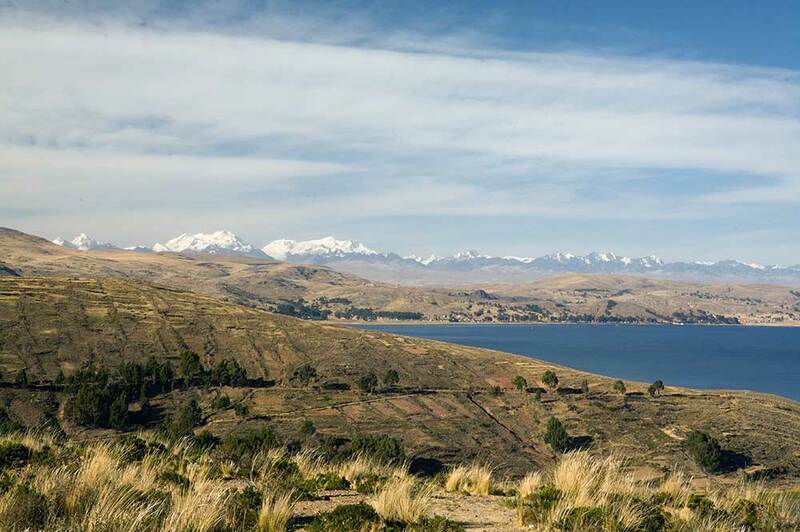 Everyone else in the group is fine and are looking forward to the next mountain adventure of Huayana Potosi. All the team and staff at AP wish Joe a speedy recovery. 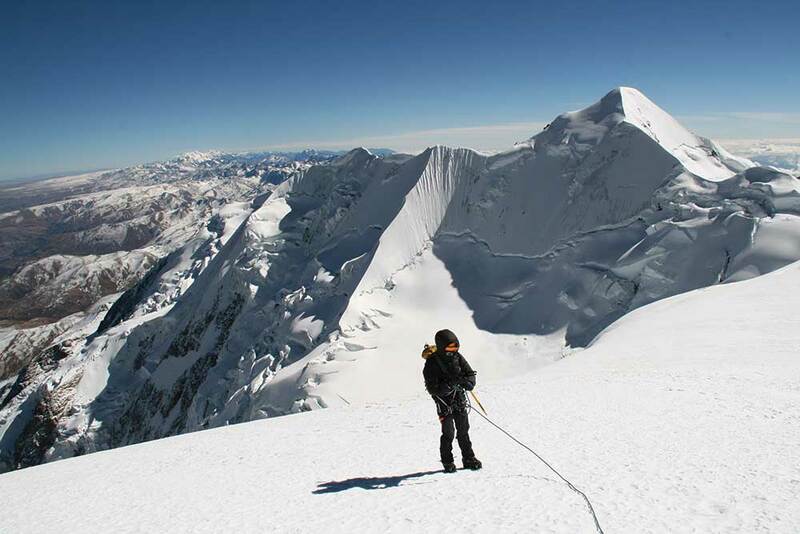 Bolivian Peaks Expedition News 9th August 2009. Bolivian Peaks Expedition News 4th July 2009. 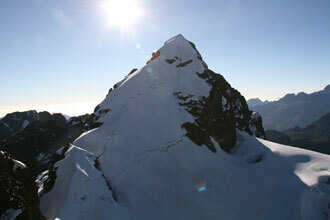 23rd July – SUMMIT SUCCESS – ‘We´ve just arrived back from a very cold and snowy Illimani. The day we arrived at Illimani Base Camp the clouds had grown dark and menacing with the tops hidden from view. At 6.30pm that night the wind really picked up threatening to blow down many of the tents at base camp, it started to snow, which was a big surprise to all. The weather didn´t relent until around 6.30am the following morning when we awoke to a white vista across the base camp plain. We soon discovered that the 40 or so climbers at high camp had all abandoned their summit attempt and were heading down. Bolivian Peaks Expedition News 19th July 2008.